Today at Bibliophilia, Please, we have Kersten L. Kelly - author of ec·o·nom·ics: a simple twist on normalcy - joining us to talk about her book. Professional football players, corporate tobacco advertisers,volatile gasoline prices, and the Cold War all share an undetected commonality—each is an intrinsic part of economics. Though not obvious to the naked eye, each entity shares a pattern with the others. This book helps to shed light on these mutual characteristics. It is an extensive compilation of theories interpreted using supportive examples. 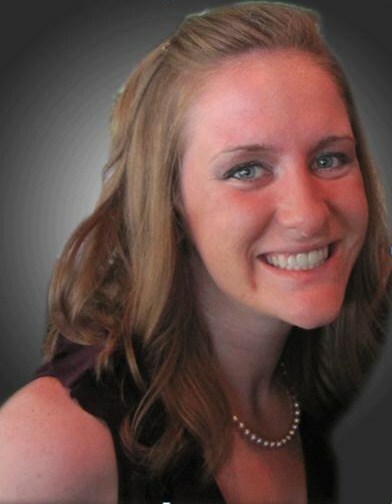 Kersten, thank you so much for allowing me to interview you! Your book has such a unique premise, so hearing your answers is very exciting. First off, economics is not a popular field of interest for the common person, and there are quite a few people who may not even realize what it is. When did you become interested in economics, and would you tell us a little bit about it that we may not have realized? I became interested in the subject when I first started my undergraduate degree at Indiana University. All of the textbooks that I read were so mundane, but the topics they discussed were so interesting and relevant to life. I signed up for more classes and eventually added it as one of my degrees. Most people think that economics is all about money. A lot of people I talk to use the terms "money" and "economics" synonymously. Although currency is involved in a plethora of economic ventures, it is quite different. In the book, I explain how it intertwines with a variety of subjects that almost anyone can assimilate with. It is a very interesting idea to apply economic principles to pop culture and life in general, but what made you choose to write and publish your own book? Is it based on or inspired by your academic research? The book was inspired by two things. The first was Freakonomics by Steven Levitt and Stephen J. Dubner. Their book absolutely fascinated me, and I wanted to create a work that other people that read their book could enjoy. They did all of their own research in the field, and I did most of my research through published articles and online. The second reason I wrote this was to encourage people to actively engage and question the norm. Many times we do not really "think outside the box" for normal, everyday activities and occurrences. This book shows readers how to and also challenges readers to do so. What was the hardest part of writing ec·o·nom·ics? The hardest part about writing the book was organizing the hundreds of examples I kept thinking of in an order that people would be able to comprehend. As soon as I would get done writing part of the book, I would think of another relevant example for that section. I would end up having to edit the additional writing back into that section. Once I did this, I had to make sure the additional example made sense. The organization of the book was quite difficult for me to put together. Is there one specific message in this book that you would like your readers to keep with them after they are finished reading? Yes - always think of how the principles in this book influence your life. The examples I use in the book are simple on purpose. The goal is to help readers apply the economic theories directly to the examples to gain a deep understanding of what they are. The next step would be for readers to directly apply those to their unique experiences. Hopefully readers will have such a grasp on the theories and concepts that this will be fairly simple for them to do. What made you decide to self-publish your book? Am I wrong to assume that it was an economically-driven decision? Yes, it sure was. I interviewed two authors - one was self-published and the other was traditionally published. Aside from the royalty aspect, I wanted to be involved with each of the different steps in the process. I had a vision for the book, and I knew that the only way it would be what I envisioned is if I did it myself. Self-publishing was one of the best decisions I've made for the book for that very reason. What a great learning experience this has been! I knew that I wanted to be a writer from an early age. I started writing short stories in my spare time as a child, and my parents would always encourage me to write more. I kept writing during high school and continued on. Throughout college, I wrote intricate memoirs of things that occurred in my life that I didn't want to forget, but I never decided to publish any of the material. Once I graduated from graduate school, I finally had the time and theoretical knowledge to sit down and put together an entire book of written work. It seemed relatively easy because my background was directly related to the topic. I think Freakonomics and My Friend Leonard are two books that influenced my life and writing the most. Both of these works were well written and highly motivational for me. The authors spent a lot of time and effort with these works. The Hunger Games trilogy and they are absolutely excellent. I usually don't read this type of book, but my sister insisted. I'm glad she did. I am halfway through Mockingjay. Yes, I sure am. I am actually writing a narrative semi-fiction book that is about the people I meet on planes. I don't want to give much away, but I have a collection of quite bizarre occurrences. Thank you again, Kersten, for stopping by Bibliophilia, Please and answering questions for us bibliophiles! Follow Kersten to stay up to date on ec·o·nom·ics and her other projects! I want a copy because u r my friend and I miss u so much coming into my store!!!!! I remember reading Freakonomics, I thought it was interesting way to view economics. Then I attended an economic class and I realize that I should leave it to the experts lol. 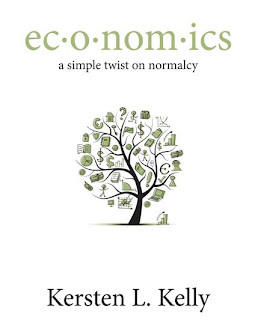 If your book is similar to Freakonomics, I will probably pick it up because I like reading economic books. I had one economics course in college and hated it. 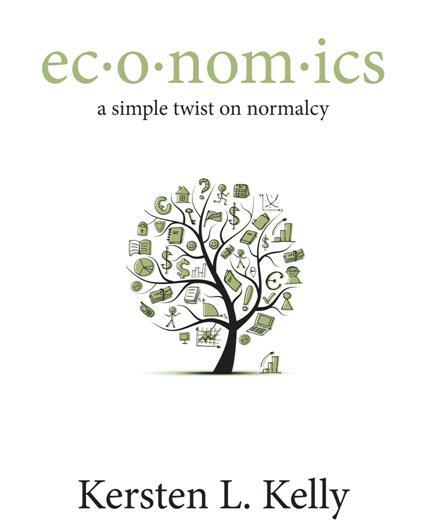 I would love to read your book as it sounds like an interesting way to view economics.